Senior quarterback Mike Bercovici has been at Arizona State since 2011. He’s seen just about everything from the Devil Walk to the fans at Camp Fargo. But even he was blown away by the new student section configuration at Sun Devil Stadium when he experienced it for the first time in the team’s home opener against Cal Poly on Saturday. “I genuinely got chills when I walked out there coming out of Tillman Tunnel for pregame,” Bercovici said. The student section in Sun Devil Stadium is now split between the two end zones, and it has brought a new atmosphere with it. ASU players and coaches said the new “Double Inferno” configuration brings added energy that makes a difference on the field. The team is excited to have their new secret weapon right behind them when they take the field Friday against New Mexico. As the players run out of the Tillman Tunnel they will be immediately greeted by their fellow students for the second straight week in their new spot on game day. Graham has praised the students at games in the past, thanking them for their passion. But the ASU head coach thinks the new end zone student sections will make Sun Devil Stadium a challenging environment for opponents. “That’s something that really stuck out to me, and obviously that’s going to really make this place a very difficult place to play,” Graham said. ASU’s home opener was far from a sellout crowd, with most fans likely thinking it would be a runaway win for the home team before the half. But the student sections in both end zones were filled well before kickoff and throughout the game. Bercovici, along with the other leaders on the team who have been in Tempe for a while, has consistently embraced all of the passion and love that the students give his team. Before the season, Bercovici, along with seniors D.J. Foster and Jordan Simone, wrote a letter to Sun Devil Nation, thanking fans and promising them that they would stay true to their goal of winning championship, and bring the Territorial Cup back to Tempe. Sentimentality aside, the “Double Inferno” has the chance to directly impact games, especially big games ASU hopes to be playing in later in the year. 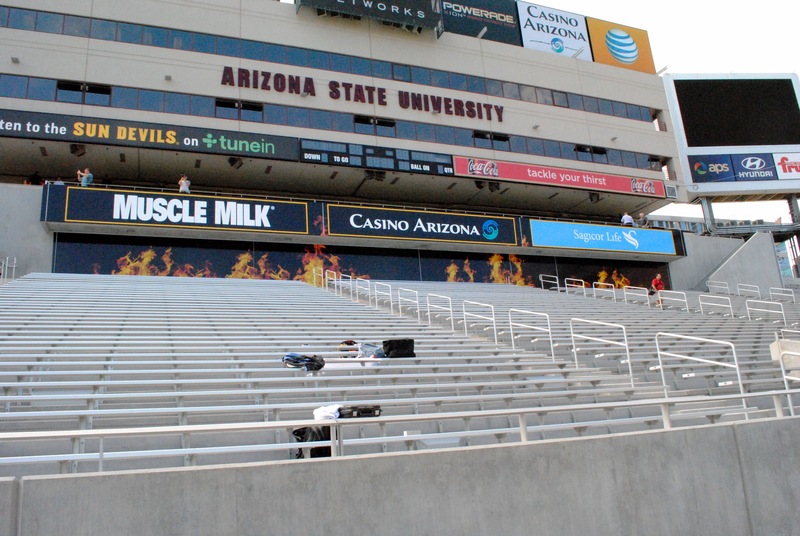 On defense, the Inferno sections can make it difficult for opposing teams to communicate inside the Sun Devils’ 20-yard line on either side of the stadium. 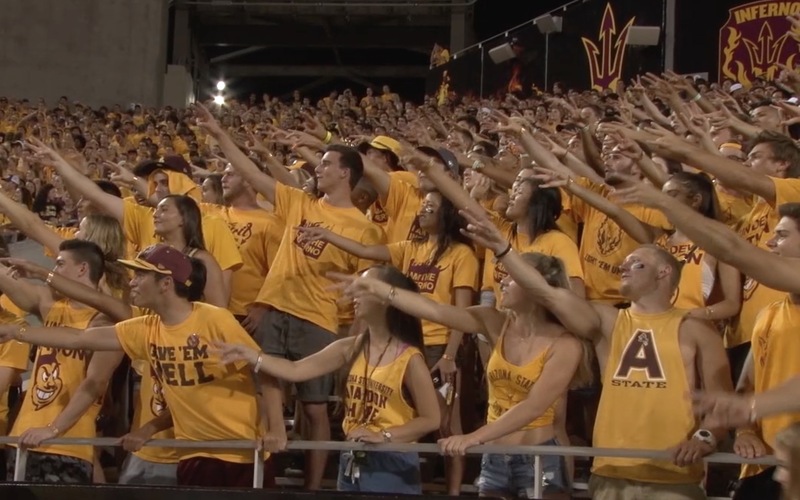 The ASU students have lacked no passion for their team and have had the national spotlight on them with the “Curtain of Distraction” during basketball season and Camp Fargo during football. They showed on Saturday in the debut of the “Double Inferno” they still have more to give. “It’s going to be a fun season to see whatever they have in store for us,” Bercovici said.